Stockbridge, MA, May 15, 2018—The Norman Rockwell Museum today announced the appointment of Mary A. Berle, a Harvard-trained educator, who is the current Principal of Muddy Brook Elementary School, in Great Barrington, MA, as the Rockwell Museum’s new Chief Educator. Ms. Berle will officially join the Museum on September 1, 2018, assuming a newly created senior-level position to lead the Museum’s education vision at a pivotal time of growth. In this position, she will build on the strengths of the Museum’s robust education program currently led by Chief Curator Stephanie Plunkett and Digital Learning Director Rich Bradway. As a member of the Museum’s strategic leadership team Ms. Berle will oversee all aspects of the Museum’s educational programs, including distance-learning and digital initiatives to grow regional, national, and global engagement. Partnering with Bradway, who has led the creation of numerous digital learning platforms, including the online Curriculum Lab, the Museum’s App, gallery interactives, and VR experiences, she will ensure that Norman Rockwell Museum meets the increasing demand for digital access to content. In her new role, Ms. Berle will build upon the existing strengths and prolific content creation for all audiences and will guide the Museum forward in planning, execution, and distribution of its learning and engagement experiences. Ms. Berle joins the Museum as she concludes 13 years of service with the Berkshire Hills Regional School District, where she currently serves as principal of Muddy Brook Elementary School in Great Barrington. During her tenure in the district, she created a unique-in-the-nation innovative Collaborative Care model to support students and families in working with both the school system and health-care providers to support student success. 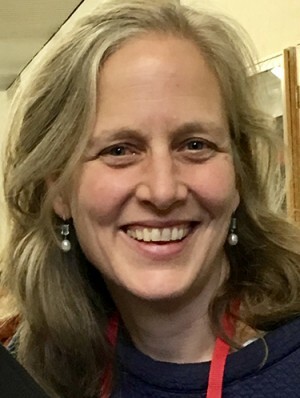 Prior to joining the Berkshire Hills District, Ms. Berle created inquiry-based math and science curricula for TERC (formerly Technical Education Research Center) in Cambridge, MA, a non-profit organization dedicated to advancing the teaching and learning of mathematics for all students and teachers. These large-scale projects were funded by the National Science Foundation and published by National Geographic and Pearson Education and are widely used across the nation’s schools and internationally. Ms. Berle has further demonstrated success in procuring and managing local, state and federal education grant funding. Mary Berle has an A.B. in Visual and Environmental Studies from Harvard College and her Master’s in Education in Human Development, also from Harvard. The Department of Visual and Environmental Studies (VES) cultivates skills in both the practice and the critical study of the visual arts. Its components include photography, filmmaking, animation, video art, painting, drawing, printmaking and sculpture, as well as film and visual studies, critical theory, and the study of the built environment. She is the mother of three children, Louisa, Thomas and David and makes her home in Stockbridge. A big picture thinker and doer, Mary has ridden a bicycle down the coast from Seattle to Los Angeles and then across the United States. An equally inspiring cycling feat is her weekly unicycle program at Muddy Brook School, where over 200 students have mastered wheeling around on one wheel, including demonstrating their skills in the Stockbridge Memorial Day Parade.